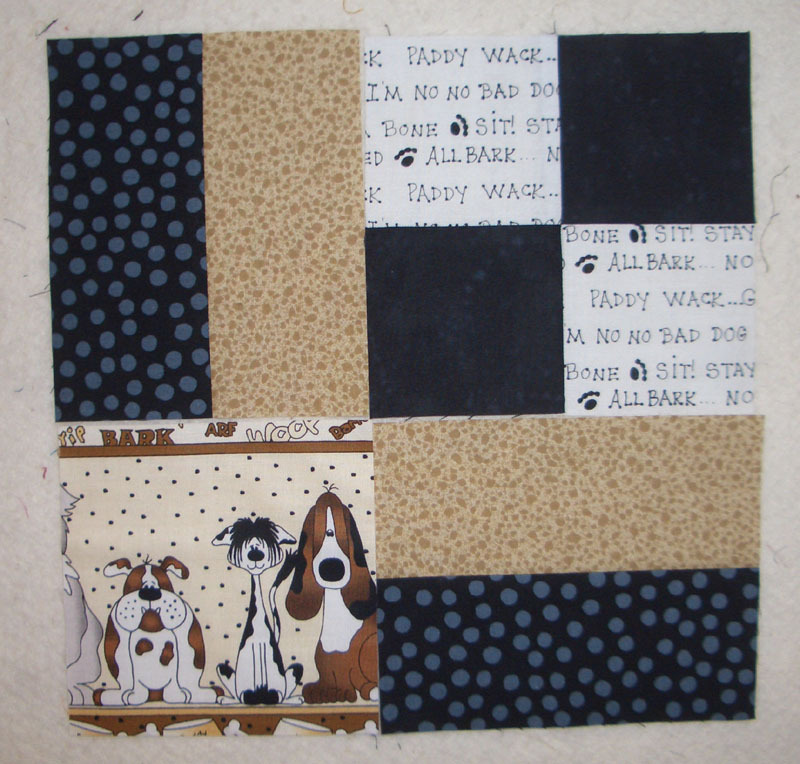 This week on my Design wall are the Blocks for the SD Humane Society quilt that Sandi, over at kwiltnkats, and I are working on. All of the pieces for the block are cut and ready to go. Will get those complete this week so we can put the whole thing together and have finished by the middle of August. 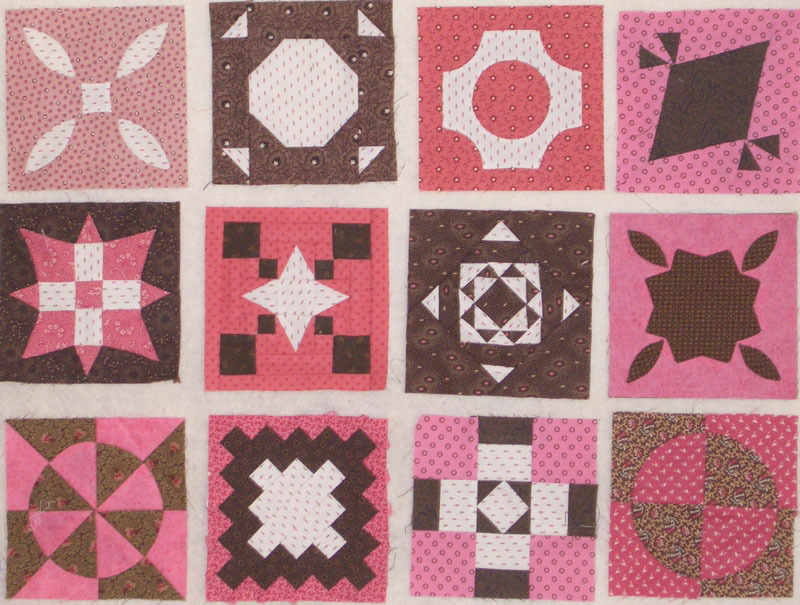 I am also continuing to work on the Pink and Brown Dear Jane quilt. On vacation in Mammoth last week, I was able to complete 12 more blocks and now have the first and most of the second row completed. 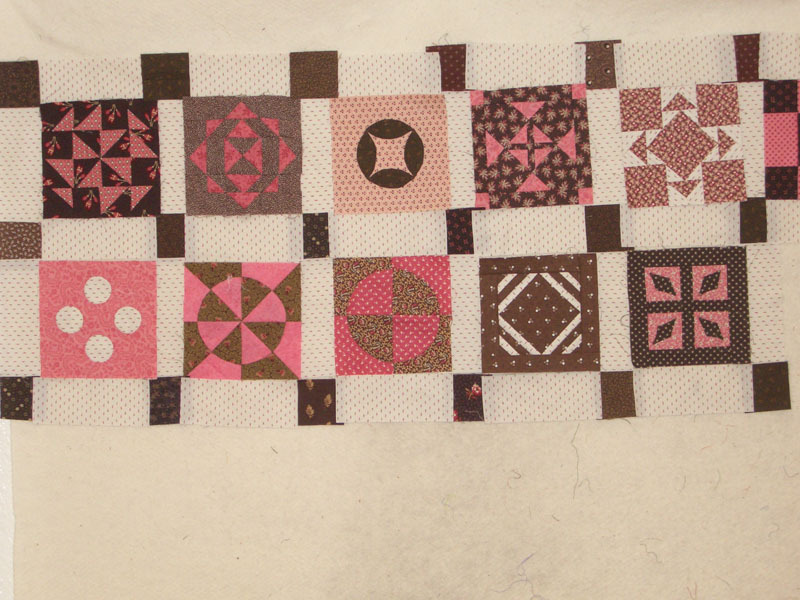 Below is the layout with sashing and cornerstones. I have decided to sew the rows together as I go, so it looks like something is getting completed!! Have a great week and happy sewing!! I like the SDHS block; the dogs are so cute. The black dot print adds a punch. I think when we put our makings together we'll be very happy...not to mention who wins the silent auction that becomes the new owner. Smart to keep all your DJ blocks together if you are certain it's the setting you want. I notice you are changing up the brown sashing squares. This is goign to be a terrific quilt.